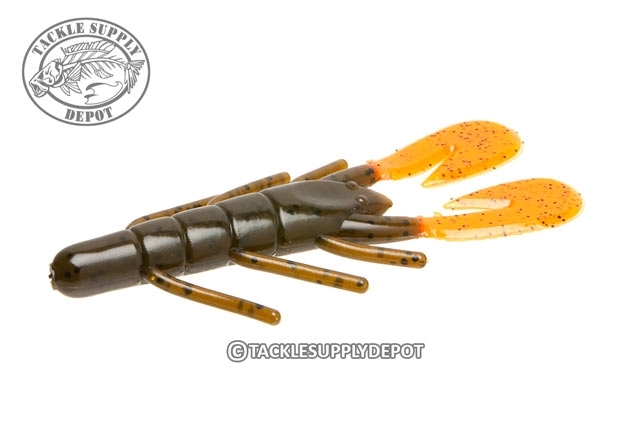 With its compact shape and fast-paddling tails, the Ultra-Vibe Speed Craw is a jack of all trades and a master of many. It's great by itself, dragged slowly across the bottom or pitched into heavy cover, but you can also affix it to the back of a swim jig or a vibrating jig for the deadliest trailer ever. Zoom Z Craw Zoom Z Hog Zoom Super Speed Craw Zoom Z-Craw Jr. I love these for flipping, bed fishing and as a jig trailer. Try these out next time you are having a tough flipping bite, they could turn the day around for you!